Confronted with the power and ubiquity of broadcasting, most countries reached the conclusion that its potential impact justified careful regulation and special treatment as a cultural and communicational infrastructure. In the United States, it was determined that a free and unfettered broadcasting system was paramount and from the beginning it was based on private rather than public ownership. Unlike most of the world, public broadcasting was only introduced to the United States after commercial broadcasting was in full swing, almost as an afterthought. In order to encourage diversity and independence within this commercially-driven system, and thus to better reflect local needs and interests, legislators and regulators also adopted what they called the bedrock of localism. According to this principle, each station was licensed to serve a specific locality and tight controls were placed on the number of stations that could be owned by one company. This principle applied both to commercial and non-commercial broadcasters and, again unlike most of the world, public broadcasting in the United States was, from its inception, locally-owned and controlled. National and state governments are prohibited by law from owning or operating radio stations directed at domestic audiences. Over the years, ownership restrictions for commercial stations were gradually loosened until, in 1996, a new telecommunications law dramatically lifted virtually all remaining restrictions, resulting in a wave of mergers and consolidations that dramatically changed the broadcast environment. Localism was abandoned and companies were permitted to own as many as eight stations within a single market. One company, Clear Channel, now owns nearly 1 200 radio stations, more than ten percent of the commercial radio stations in the country. Commercial radio is now a very big business, dominated by a few huge conglomerates, with very little local ownership or control. Although a late-comer, public radio plays a unique and distinctive role in the American media environment. It is one of the few places left on the radio dial to hear solid news coverage and eclectic cultural programming, including classical, jazz and folk music. And unlike commercial radio, public radio is still locally owned and controlled. There are nearly 700 public radio stations operating in the United States, licensed to about 360 different bodies, most of them non-profit organizations and universities. Another 1 500 smaller non-commercial stations are operated by religious, student and community organizations. Most of the public radio stations are members of National Public Radio (NPR), a national radio service that provides stations with news and cultural programming. Virtually all NPR stations and most of the smaller ones have access to programming, from NPR and other sources, via satellite. NPR stations are independent and make their own programming decisions. A typical station will produce about one third of its programming locally and get the rest from NPR and other programming sources available via satellite. Each station is locally owned and operated, with its own board and management and is responsible for raising its own operating funds. Funding for public radio in the United States is also primarily local. Listener contributions are the single largest source of revenue, with 2.1 million people donating more than US$150 million per year directly to their local stations. In contrast, support from the federal government averages less than ten percent of a station's budget. Much of the rest comes from sponsorships, often from local business. 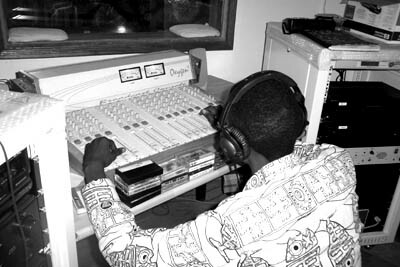 In addition to financial support, most public radio stations also depend on volunteers to undertake many of the station's activities. [I]n the face of widespread worries that community activity is ebbing in the United States, these findings demonstrate that the Internet, while not necessarily turning the tide, has become an important new tool to connect people with shared interests globally and locally. In come ways, online communities have become virtual third places for people because they are different places from home and work. These places allow people either to hang out with others or more actively engage with professional associations, hobby groups, religious organizations, or sports leagues. The unique set of conditions described above - commercial dominance of radio, a small but significant and reasonably well-funded public broadcasting presence, and significant access to the Internet - it is not surprising that there are a number of unique possibilities for broadcasting and the Internet in the United States. For public radio stations in the United States the challenge has been not how to use the Internet in their programming, or how to make use of it to exchange programming with other stations (satellite access to programming was readily available to public radio long before the Internet was). Instead many have chosen to experiment with how to use the Internet to be more interactive, to provide programming on demand, and to offer more detailed information to their communities than they could over the airwaves. Three examples of how public broadcasters are using the Internet are presented here - one national, one within a single state, and one within a single city. New Hampshire Public Radio (www.nhpr.org) operates four public radio stations that blanket this small New England state. Several years ago it started a daily news programme called The Exchange focusing on state-wide news and current events. The programme works in conjunction with an extensive website that provides additional information, connections to other websites, an opportunity for feedback and discussion and a weekly email bulletin telling listeners what is coming up on the program. When the state legislature proposed four different state tax plans (in a traditionally anti-tax political environment), the station introduced a three-pronged effort to help citizens sort through the issues. On-air, the station produced a series of reports, interviews and call-in programmes. On their interactive webpage, they scored over 32 000 hits to an On-Line Tax Calculator which enabled listeners to calculate their individual taxes under the four different plans. And finally, the station developed a series of live civic forums with local partner organizations throughout the state. Jon Greenberg, senior editor and director of new media at the station, points out that the Web is a way to get involved with listeners. Radio news is essentially a one-way activity. With the Web, we can say for certain that over 30 000 people took a positive action. The online analytical tools helped to overcome some of the confusion and obfuscation that often colours political debate. Also by attracting public attention, the Tax Calculator demonstrated to listeners that the website is a source of important information that merits their continued attention. 1. The LWV website, www.smartvoter.org. provided content about San Diego candidates and propositions. 2. A KPBS campaign 2000 website featured local, regional and national election news information. 3. My Election Folder site was created, with news, resources and a special feature allowing users to save their favourite election information. Overall, there were nearly 11 000 visits to My Election Folder and the majority of users visited the site the week of the election. On the day before the election, the site received over 56 000 hits. Other PI services include Public Arts, for arts, entertainment and culture and Public NewsRoom for on-line news and information resources. PI also started Public Store, for e-commerce activities, in the hopes of generating a new source of revenue, but have found the margins to be extremely small and the total revenues not very significant. PI also makes streaming services available in Windows Media and Real Audio formats and stations are slowly adding on streaming when economics permit. In an interview in the Radio and Internet Newsletter (RAIN),** Tom Lix said he believes that public radio stations are at least a year ahead of commercial stations in using the Internet because they are more interested in the concept of public service. Public radio, he said, has a focus on service. For their listeners, their viewers, and their members. They realized, early on, that the Internet could help them better serve their audiences. Sometimes it was as simple as putting up a programme guide, or a pledge page...but everything they did focused on serving their community better. Even more importantly, they are realizing that building a relationship really requires two-way communications. It is great to get individual financial support and volunteer activity, and radio is great for getting information and entertainment disseminated. But to get feedback and really build a true two-way relationship, a public radio in the United States needs the Internet. Online groups are Internet websites and mailing lists that facilitate communication among a community of interest or a geographical community.